Bingo Hideout read with interest that Farmville will be getting its own site as an offshoot of its current Facebook app. The guys in the Bingo Hideout office are all big facebook nuts, and there is nothing like a bit of social networking in the lunch break (or a snatched 5 minutes when the boss isn’t looking) to make you feel that you are connected to all your friends and family far and wide. There are half of the Bingo Hideout team that are deeply committed to FarmVille and get animated if anyone tries to tell them how ridiculous it is for adults to be playing such a childish game. The other half of the Bingo Hideout office are very firmly in the anti-FarmVille camp, and bemoan the constant blight on their wall of updates that are so ridiculous that they have even threatened to hide the offending friends who are the ‘guilty’ parties. Luckily for those that hate the almost daily status updates saying things like ‘Laura just plucked luxurious down feathers from their duck in FarmVille’ or ‘Laura dug up some delicious truffles with the help of their pig in FarmVille’, they are able to hide all alerts from the FarmVille app. However with the advent of the new FarmVille site, it is most likely that this will become a thing of the past anyway. Which for the Bingo Hideout FarmVille dissenters, it will be a godsend. 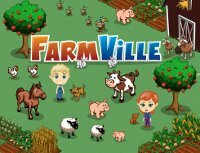 The reason for Farmville having its own dedicated site is that since its launch in 2009 the FarmVille app has had the unprecedented estimated figure of 80 million users sign up to use the app. What sort of people sign up? Well you might think that it is the workshy, students, housewives or anyone who has too much time on their hands. However FarmVille have all of those people in the ranks of the apps fanbase but there are equally as many Doctors, nurses, policemen and women, City and big corporate professionals playing FarmVille too. In fact it is a real cross section of society and across the world that have become hooked on the farming game. For the uninitiated the FarmVille game is a virtual farmyard where players can grow vegetables and keep livestock earning points along the way if you are good at it. The aim is to do so well at farming in your virtual little farmyard that you earn more points, its very similar to a childs Tamagotchi game, which requires nurturing and attention.